AnyMP4 Blu-ray Player ailenizle beraber film keyfini yaşamanızı sağlar. Blu-ray disc ile Blu-ray, Blu-ray klasörü veya Blu-ray ISO image dosyası her şekilde oynatabimenize yardımcı olur. Special 50% OFF coupon code for GOTD users: ANYGOTD AnyMP4 Video Converter Ultimate helps you convert DVD disc/movie to any HD and common videos like MP4, MOV, M4V, AVI, MKV, FLV, WMV, TS, etc. It also convert any video to your needed formats for playback on any mobile device like iPhone XS/XS Max/XR/X/8/8 Plus/7/7 Plus/6s/6s Plus/6/6 Plus/SE/5s/5c, iPad Pro/mini 4, iPod, HTC, Google Nexus, Samsung Galaxy, Huawei, and others. With this software, you are allowed to enhance video quality, such as upscale resolution, optimize brightness and contract in the most suitable ratio, remove video noise and reduce video shaking. More editing features like cropping, clipping, trimming, adding watermark, rotating video position for you to edit the video more attractive. 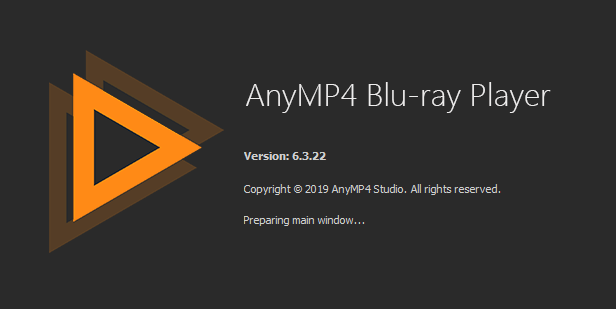 Special 50% OFF coupon code for GOTD users: ANYGOTD AnyMP4 Blu-ray Ripper can convert Blu-ray to 4K UHD and 1080p HD video with video formats like MP4, MKV, AVI, WMV, MOV, M4V, TS and more with super high quality and fast speed. It can also extract audios from Blu-ray and convert them to audio formats including MP3, FLAC, WAV, WMA, AAC, ALAC, AC3,etc. Apart from that, you can personalize the video effect by adjusting, clipping, cropping, rotating, adding watermark and so on. Meanwhile, you can merge two or more videos into a larger one. Therefore, you can play your video on iPhone XS/XS Max/XR/X/8/8 Plus/7/7 Plus/6s/6s Plus/6/6 Plus/SE/5s/5c, iPad pro, iPad mini 4, Samsung Galaxy Note S7, Samsung Galaxy Tab, Surface Pro, Google Nexus, HTC M9, Lumia 930 and more digital devices. Special 50% OFF coupon code for GOTD users: ANYGOTD AnyMP4 Blu-ray Copy Platinum can copy 2D and 3D video to Blu-ray disc with super fast speed. It can clone Blu-ray disc to ISO file/folder to save on your computer as well. You can easily back up Blu-ray disc to a blank Blu-ray disc and copy Blu-ray disc with compressed BD-50 to BD-25, keeping the source original quality well. Clone mode enables you to copy Blu-ray disc with original quality. It helps you how to back up the Blu-ray disc and Blu-ray 3D to the hard drive as a Blu-ray folder or ISO file. To avoid Blu-ray disc loss and damage, this wizard Blu-ray backup software can also help you to save the Blu-ray movies you in your computer. Four Blu-ray copy modes to meet your needs such as Full Disc mode, Main Movie mode, Clone mode and Write Date mode. Special 50% OFF coupon code for GOTD users: ANYGOTD AnyMP4 DVD Creator is the professional video to DVD Maker, which enables you to convert multiple videos like AVI, MOV, MXF, VOB, FLV, MKV, MTS, M2TS, MP4 and more to DVD disc/folder/ISO file with high quality. Besides, it acts as the Video to Blu-ray Creator to convert any videos like MP4, MOV, AVI, MKV, FLV and more to Blu-ray disc/movie with the excellent video quality. Apart from that, this Bly-ray & DVD Maker can help you add the audio track, subtitle, background music and pictures, and it also allows you to download and choose preferred menu templates, frames and button styles. With this Blu-ray + DVD Maker, you can create Blu-ray/DVD with various menus by downloading online Blu-ray/DVD menu templates, and choosing Blu-ray/DVD menu frame, button and text style. Special 50% OFF coupon code for GOTD users: ANYGOTD AnyMP4 Video Editor is not only excellent Video Editing software, but also powerful Slideshow Maker. Edit your videos and photos and even create slideshow video for free. With multiple but useful editing functions, you can adjust fast and slow motion effect, trim/cut video clip file, crop video/image frame, rotate the video/photo position, adjust video/picture brightness /contrast/saturation/hue, merge videos together, blur face with mosaic or various little elements. Moreover, it has the ability to help you add filters to make your movie more attractive. When creating slideshow video, you can choose the existing theme, or DIY your own theme, and add transitions, etc.